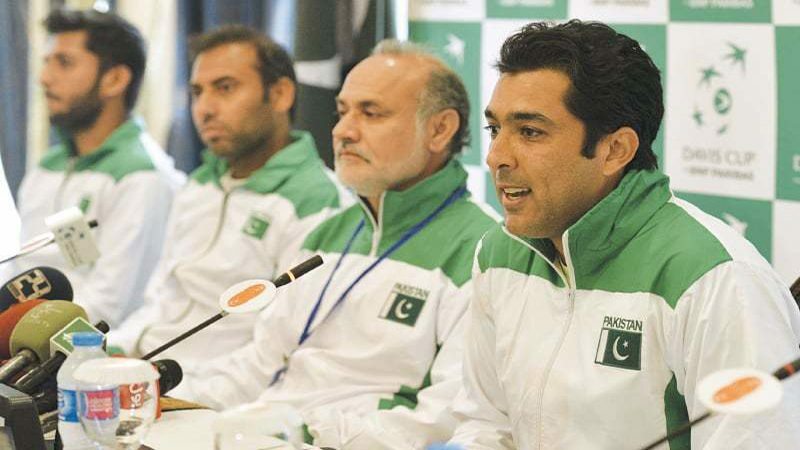 LONDON: Pakistan thrashed Republic of Korea 4-0 in the Davis Cup Asia-Oceania Group-I tie after experienced Pakistani pair of Aisam Qureshi and Aqeel Khan winning the doubles match and Abid Ali Akbar winning the reverse singles here at Pakistan Sports Complex grass courts. 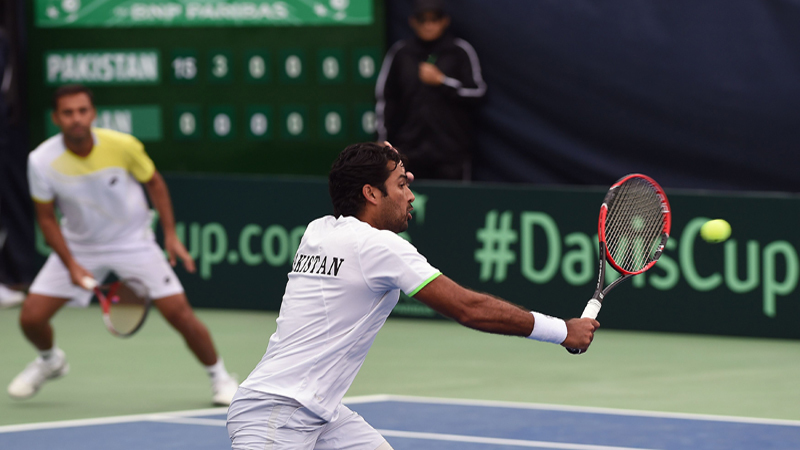 The set went into tie break and it was soon 3-1 in favour of Korea , but hats off to Aisam, who showed his class and handled the pressure well, as Pakistan leveled the score at 3-3. 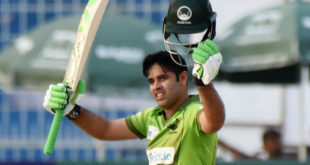 Pakistan had golden opportunity to win the first set, as Aqeel was serving on 7-6, when Aisam gave Pakistan break, but Aqeel was under pressure and committed double fault, but Asiam once again gave Pakistan another chance to wrap it up and he finally hit an ace to give Pakistan first set 7-6 (8) in 1 hour and 5 minutes of highly entertaining tennis. The second set started in the same passion, as the Koreans were trying their best to stage a comeback, while Aqeel was looking off-colour and committing unforced errors, but Aisam was in great form and he staged a remarkable comeback, as in the sixth game, it was 15-40, but Aisam kept his composure and first made it 40-40 and then got advantage for Pakistan. It was arguably the most exciting games of the entire match, as it went right down to the wire. The Koreans had at least half a dozen chances to break Aisam’s serve, who, somehow, managed to stay in the game and finally, he hit three aces to hold onto the game and it was soon 4-4. Aisam sensing the situation went to Aqeel and had conversation with him, who then took a turn and started playing aggressive game, which worked wonders and helped them break ninth game of Koreans. Asiam, who was serving for the set and the match, raced onto 40-0 lead and hit the ace to win the set 6-4 and also the crucial match. 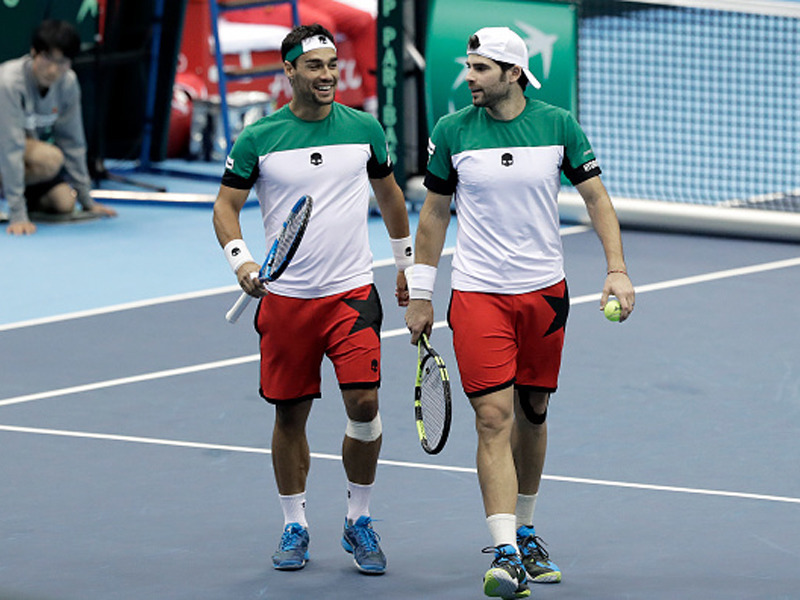 Italy’s number one Fabio Fognini beat Japan’s Yuichi Sugita in five hard-fought sets to give his country a 3-1 victory in their Davis Cup World tie at Morioka in Japan on Sunday. Fognini, ranked 22nd in the world, edged past Sugita 3-6, 6-1, 3-6, 7-6, 7-5 in a marathon match lasting four hours and eight minutes to take Italy into the quarter-finals for the fifth time in six years. The Italian had admitted feeling tired after Saturday’s doubles success, having played nearly eight hours in total including Friday’s defeat of Taro Daniel. He even suggested he might not play on Sunday but managed to stay on court for another four hours with plenty of tiebreak tension. Japan had hoped to reach the Davis Cup quarter-finals for only the second time after former world number four Kei Nishikori helped them reach the last eight in 2014. 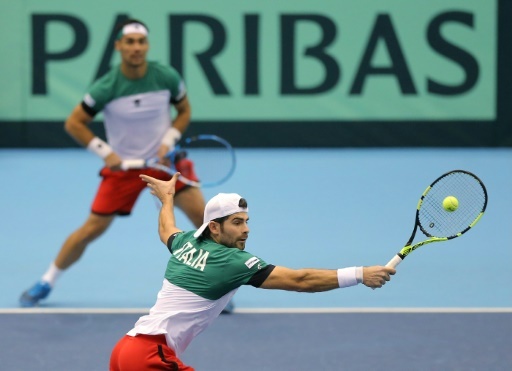 But they will have to enter September’s playoffs in a bid to remain among the Davis Cup elite. Italy were champions back in 1976 and have finished runners-up on six occasions. The tie was held in a 4,000-capacity indoor arena in snowy Morioka, some 450 kilometres (280 miles) north of Tokyo. The first-choice venue of Ariake in Tokyo is being renovated for the 2020 Olympic and Paralympic Games.